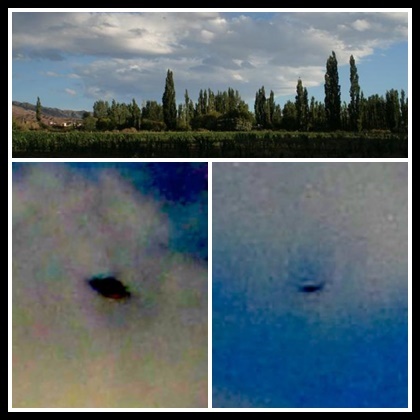 The sighting took place between San Martín de los Andes and Villa Melquinia. The discovery took place when a family returned from its vacation and went through their photos carefully on a large screen: there were strange objects visible in the air. This is how the startling images came to be known, documenting the presence of a UFO over Patagonian soil. It should be noted that this flying saucer, after being enlarged and analyzed, appears to be a drone - a modern unmanned aerial vehicle which in some cases carries cine or photo cameras). However, the place from which the family saw it, with no one else around, and the object's altitude, is very striking. According to experts, drones cannot be flown at long distances, which leads to the growing belief that the object photographed along with their summertime memories was a UFO. It was the morning of the 5th of July of 1959. At 9:30 a troop of Boy Scouts who had set out from the Versailles district, walked along the nearby coastline. There were a total of more than 30 people clustered to one edge of the shore, while their guides were relatively nearby. The troop’s exact position was nearly facing L’Amours Beach. It was a clear, sunny, and virtually cloudless morning. Unexpectedly, shouts came from the troop leaders. “Look at that!” The formation broke up and all ran toward the beach. In awe, the witnessed an object which according to the first ones to see it, had emerged from the sea and hovered scant meters over its surface. The object was oval in shaped, although some said it resembled a spinning top, while others stated it was a disk, given its resemblance to what was commonly known as “flying saucers”. Seconds later, the bright disk levelled off, parallel to the water. It immediately rose skyward vertically at prodigious speed, vanishing into infinity in less than fifteen seconds. According to eyewitness accounts, the machine appeared to be metallic, with a silvery color. Everyone could see that at the critical moment, a boat with two fishermen sailed rather close to the object. The fishermen looked upon the scene in astonishment. The object was wingless and measured between 6 and 8 in diameter. As was subsequently determined, the craft rose from a depth calculated at 15 meters without making any noise or leaving a wake. All this happened barely 200 meters from the shore. The party furnishing the details on this fascinating account solemnly swore having witnessed the event. In fact, Leonel Rodríguez retold is unforgettable experience eloquently – another one to be added to the annals of the worldwide UFO phenomenon. 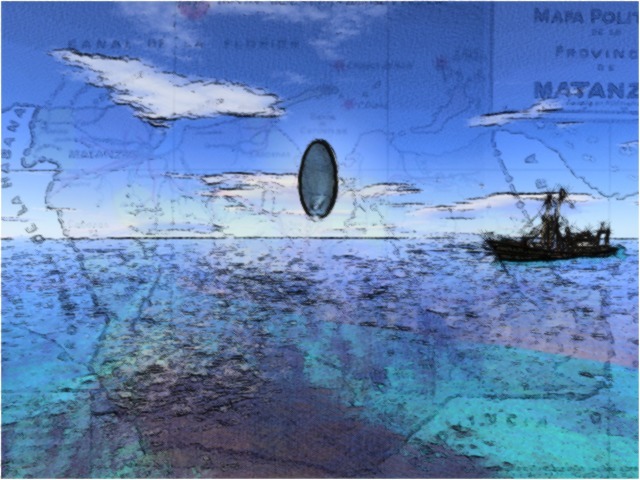 The “El Republicano” evening paper set the matter on record with the following headline: “Strange Silver Object Seen in Our Bay.” It was later known that the “El Imparcial” newspaper also picked up the controversial story. Several witnesses were interviewed by journalists who did not hesitate in broadcasting their recordings on the now-gone Cadena de Radio de Matanzas (now Radio 26), but nothing further was ever said about it. After a number of weeks, local residents began to forget about the controversial “visitor”, which remained in the memory of only a few. UFOs have been seen entering and leaving the sea. They have been seen engaged in maneuvers in lakes, rivers, gulfs, straits and sounds on various latitudes of the planet. 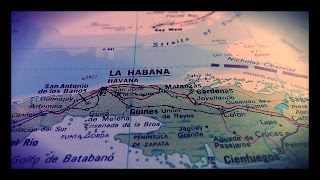 Why not then Matanzas Bay? Faced with the facts, it is acceptable to believe that numerous sightings in Matanzas – judging by their characteristics – correspond to the UFO classification, which does not necessarily make them interplanetary craft. The event described here is a single experience, as the phenomenon has continued to manifest itself. What is the likely purpose of these visits, if we are indeed dealing with extraterrestrial vehicles? Obviously, there exists no reason to dismiss other hypotheses, and I do not question a possible visit from some unknown world. If space beings are really involved, regardless of their motives, they do not seem very anxious to show their faces for the time being. Perhaps the basic cause for delaying unequivocal contact with their terrestrial hosts lies with THEM. Who knows, however, if the cause for the delay lies in a human reason? Spain: "I Was Threatened With a Court Martial if I Spoke About the UFO"
Gabriel Font, a native of Reus, discusses the questioning to which he was subjected after seeing a phenomenon - from the control tower - which the Army investigated and kept "classified" for 24 years. Gabriel Font, 68, a native of Reus, spent decades in silence about the unidentified flying object (UFO) he saw on 13 May 1969 from his duty post, as he fulfilled his national service requirements at the Reus Air Base. "I didn't tell anyone. Only my wife and daughters knew about it. They believed me, but didn't give it much importance." The confidential nature of that event, transformed into a dossier and an investigation by the Army, kept him from disclosing any details. Following the sighting, Font and others working in the control tower (or who were mobilized on account of the sighting) were summoned for eyewitness statements. "A few days later they called us to the hangar, where a captain had his offices. We showed up in our best outfits, because it was all very formal, and they asked us: 'What did you see'?" explains Font, who can now openly say what he replied at the time, in a moment full of tension and certain astonishment. "We saw a very bright light near Quatre Carreteres. Then it moved and wound up vanishing. A lieutenant colonel happened to be in the air at the time and he was ordered to fly there, but saw nothing. Some went up to the [control] tower. 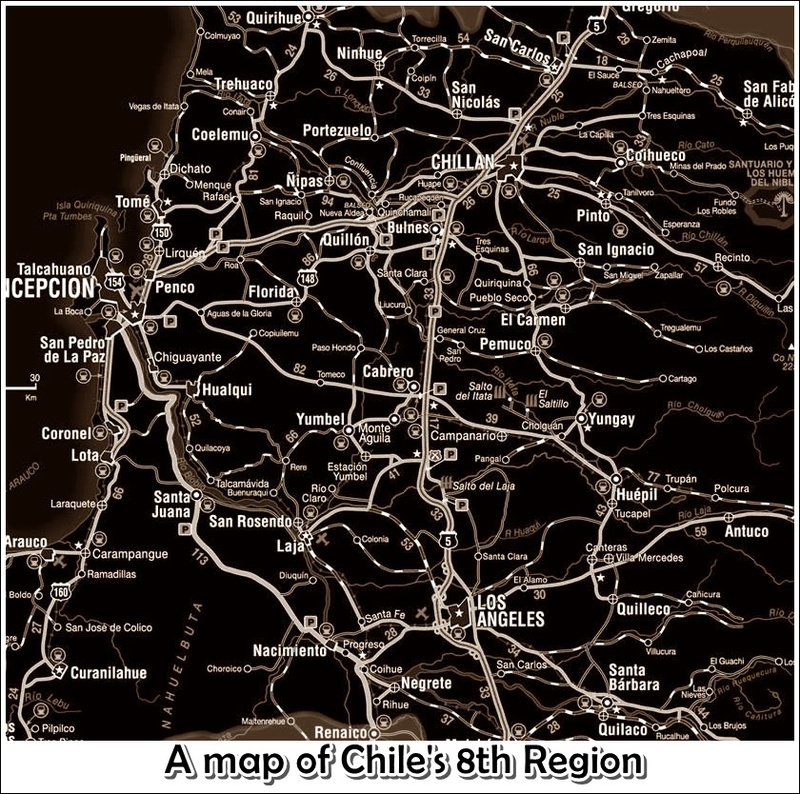 Some eight or nine people gathered there." He says that after telling their stories, the captain adjured them. "He told us that what he had seen was secret, and if we said something, we would be court-martialed. It was very strong stuff. It shocked and frightened me...I was only 19 years old." No one spoke of it again. Gabriel completed his military service in the capital city of the Baix Camp without ever mentioning the case again, which was marked Classified and included in a report with the heading "Strange Phenomena Sightings", bearing the seals, signatures and flourishes of the senior military staff. That dossier, along with many others (some of which also occurred in Reus or Tarragona), was declassified in 1993, as stated in el Diari de Tarragona last Sunday, breaking down the investigations carried out by the Defense Ministry in regard to certain UFO cases, due to a recent CIA declassification in the United States. "I had no evidence that there was a dossier, although the investigation must have been a fact since I testified," he says, while providing detail about his duties. "I aided my sergeant in the tower, going for the flight plans, helping where I could...," he recalls. "There wasn't much activity in the aerodrome at the time. They were basically military operations, and the first charter flights were starting to arrive. Sometimes pilots from abroad would bring the control tower staff a present, such as packs of cigarettes," he adds. His story coincides with the testimony offered by sergeants or controllers at the time, captured by the documentation in the hands of the Spanish air force authorities. The dossier mentions a "bright, motionless dot, evenly illuminated but for the exception of elongated spots of higher intensity, yellow in color," according to the traffic controller's description of the object through binoculars. "Was it a weather balloon?" Font now wonders. As with many of those inquiries, there was no conclusive result. After several consultations, however, also documented in the papers that remained classified for 24 years, the likelihood of a weather balloon was dismissed. It was suggested that "the hypothesis of a reflection, visible from a single direction" was the answer to the phenomenon. The conjecture is based on the fact that there were several airplanes in flight, among them five Portuguese ones and a two-seater. "That thing wasn't a reflection. I don't know what it was, but I know it was there and we all saw it," says Font. Some eyewitness reports recall that the phenomenon which occurred on 13 May 1969, analyzed at the time by the armed forces, was also seen from downtown Reus, not only in the military airport. Several citizens remember that it caused excitement on main thoroughfares such as Calle Llovera, from which the object could be seen. Some people, driven by curiosity, took to the streets to see what was going on in the skies that morning. 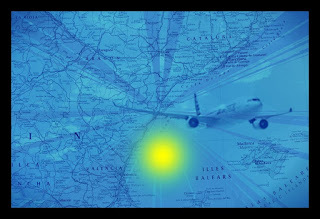 The Reus Air Base and the Tarragona Coast were the location for sightings by pilots and controllers. No conclusions were reached from these investigations. The CIA has just declassified hundreds of documents regarding the possible existence of alien life in various parts of the planet. These abstracts have been made public and detail investigations and images of unidentified flying objects (UFOs) mostly between 1940 and 1960. The material includes a sighting in Barcelona from 21 May 1952 at the El Prat Airport as well as the one in Sabadell and even in Badalona. The declassification has breathed some life into ufologists and lovers of flying saucer case histories, as the phenomenon has been prolific in these provinces. Sightings accounts, whose reliability varies between belief and skepticism, have dotted the area's popular mythology. However, some of these stories even managed to become a dossier investigated at the time by the Ministry of Defense. 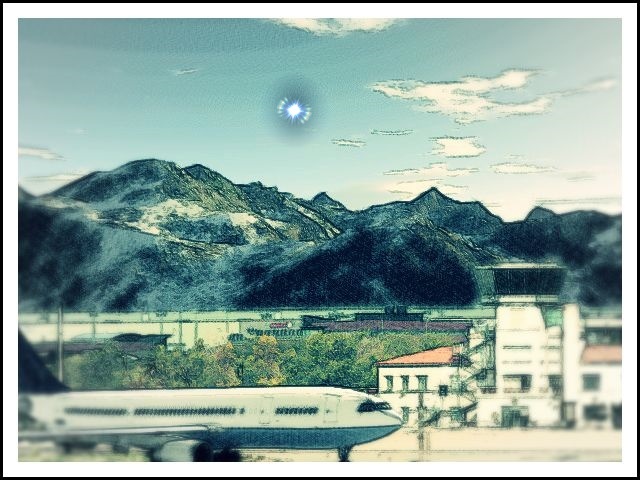 The Ejercito del Aire (Spanish Air Force) declassified UFO reports in which at least four sightings linked to the province of Tarragona appear, with the Reus Air Base as their main locale. The documents barely shed any light or final conclusions, but at least testify to the existence of hard-to-explain sightings in spite of research efforts conducted. The most significant case occurred at the Reus Airport control tower at 11:40 hours on 13 May 1969. The report, marked 'Confidential' and subtitled "strange phenomena sighting" summarizes the situation this: "The controller on duty was attending to the take-off and ascent of a Boeing 727. Upon reaching an altitude of 2000 meters, he noticed - somewhat lower and to the right of the airliner's wake - a bright, motionless point of light, having an apparent size similar to that of a 5 peseta coin. Five more people (the backup controller, two radio mechanics and two soldiers) witnessed the phenomenon. The controller availed himself of binoculars at that point, being able to see "a circular (probably spherical) form, uniformly luminous but for some elongated horizontal spots of higher intensity and yellowish color." The High Command's Intelligence Section report adds: "When the airliner's exhaust became superimposed, the controller lost sight of the object, seeing it again after two minutes, further down and to the left. He lost sight of it definitely shortly after." Investigations began at that point, without first dismissing the possibility that it could be a scientific balloon belonging to a French research agency with Spanish involvement, and bearing in mind the situation of the runway: aside from the Boeing, there were five Portuguese airliners and a two-seater. The report requested to the French "L'Adour" center proved that the balloon tests did not coincide with the dates given. 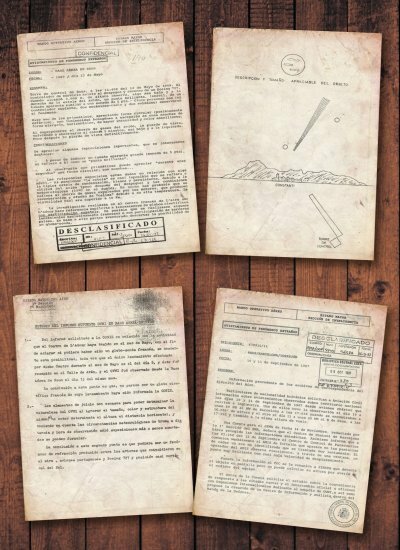 More documents, such as a sketch on the sighting, an analysis of weather conditions or eyewitness accounts of those who saw the phenomenon, were combined, making it impossible to specify such data as the altitude at which the object was located. Conclusions were vague for this reason: "Despite the lack of conclusive information, (the presence of more aircraft) supports the reflection hypothesis, observable only in a given direction." The existence of fog and the time of day suggested that "it could have been a refraction phenomenon produced between the airliners coinciding in the air, and the sun's nearly vertical position." 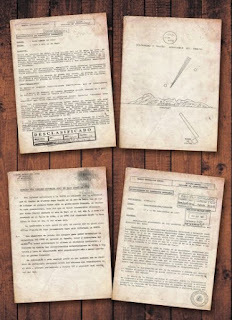 Army documents place the Baix Camp capital's aerodrome as a crossroads, and therefore, a potential observation spot for unidentified flying objects. A similar event took place two years earlier, on 11 September 1967. British charter planes returning to England reported a sighting north of Reus at around 17:35 hours. A letter written in English and sent from London requested information on the object seen by the crew of an Air Ferry DC-6 as it flew at 16,000 feet. The file does not provide specifics. "The nature of such objects has not been determined," states the report, dismissing the likelihood of a weather balloon or artificial satellite. The document posits "the creation of an Information and Analysis Center within the defense command to liaise with international agencies for exchanges and studies on the subject of unidentified flying objects." In the third file, Tarragona was the site of a 12 December 1979 sighting by the pilots of a private plane flying from Barcelona to Zaragoza on a "clear, moonless, and very dark night." 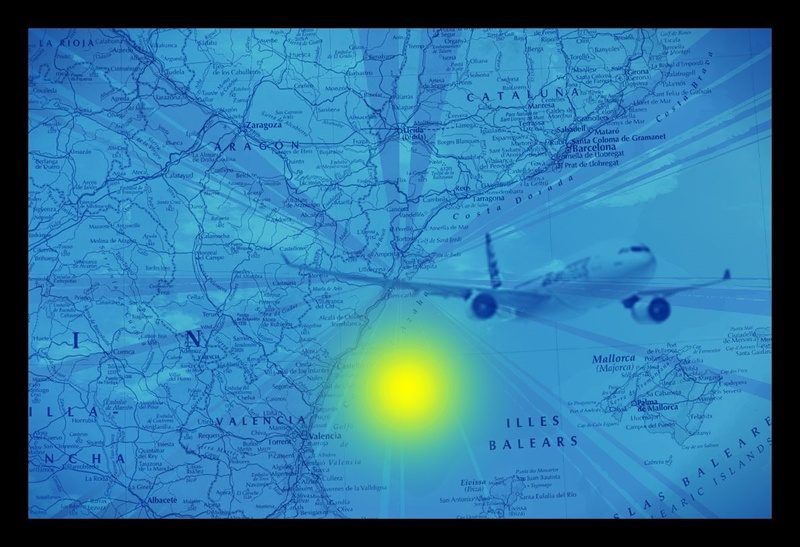 The report states that "a very bright white light, apparently motionless" was seen "over Tarragona or the coasts". The light's intensity dimmed until it became reduced to the size of "the head of a pin", later acquiring its original brightness, something which startled the crew. "The light moved in a disorderly sideways and vertical way, with fluctuations in its luminous intensity." The object vanished past the city of Lleida. The Reus base is mentioned in a fourth event, although the sighting took place in the Balearic Islands. On 14 February 1979, Flight AF-530, departing from the Palma de Mallorca airport, reported "crossing paths with a meteorite" as it set course to the airfield in Baix Camp. Samples of the tape recording that recorded the conversation between the airplane and the Mallorca airport reflect the words in which the crew admits "having seen a meteorite cross our path. We have seen a very bright sphere." No conclusive report was issued. Rivers of ink (of the digital kind, particularly) have flowed both in Spain and many countries all over the world. But the now famous images of the alleged “yeti” of the Formigal Station, as this newspaper said today at noon, are nothing more than a hoax by a well-known brand from Alicante that makes sunglasses, and has an active promotional arrangement with the aforementioned ski resort and one of its models. At 22:00 hours tonight, the company unveiled a video on its website and on YouTube. The image shows something looking like a white bear walking among the trees. It was nothing more than a skier clothed entirely in white. The fact is that after all the confusion, another video made the rounds of YouTube yesterday; showing several workers at Formigal carrying what appeared to be a cadaver before the eyes of startled skiers. The enigma is resolved. This is a successful promotional campaign orchestrated by the aforementioned eyewear manufacturer, in collusion with the ski resort in Aragón. 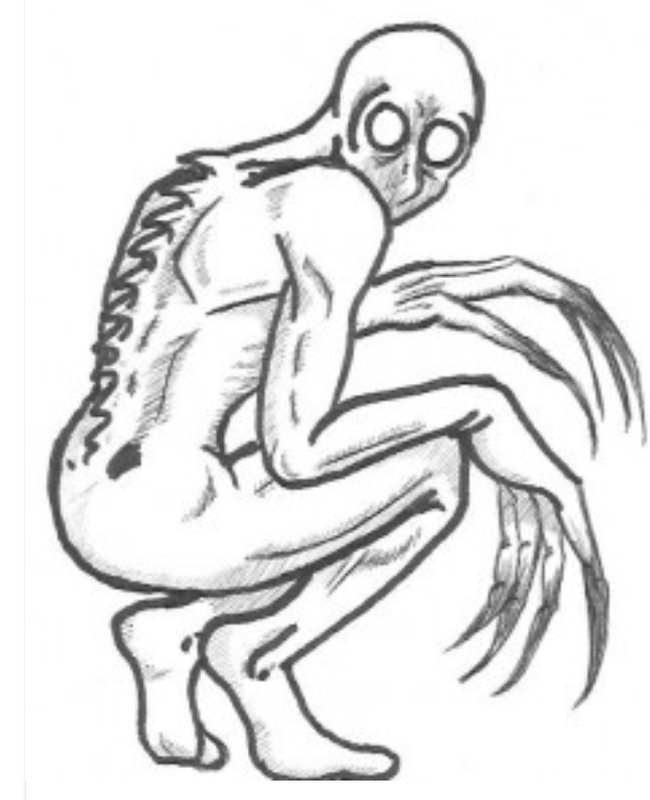 Strange entities standing between 2.5 to 3 meters tall have supposedly been seen by locals in recent years. The "Lo que habita en las sombras" (What Dwells in the Shadows) YouTube broadcast published only days ago a strange case with paranormal overtones involving two siblings in the southern reaches of our country on December 16 . A young student identified a Miguel, 24, who studies at a college in Concepcion, went back to his home located in a rural sector of the Araucania Region to spend the years ‘end holidays with his family. Only recently arrived, Miguel joined his brother Patricio, 14, on a bicycle trip through the neighboring woods on a particularly hot afternoon. An hour into the trip, they hid their bicycles in a bush to venture into the woods, looking for one of the many streams in the area to cool off. After finding the watering hole and resting for a few hours in the bucolic location, Miguel suggested that they head back home, as it was growing dark. However, when they retraced their steps down the same path they had taken, the siblings heard a strange sound behind them, similar to that of two stones crashing. When they turned around, they were startled to see two allegedly humanoid creatures staring at them fixedly. According to the description given, the beings stood three meters tall had long arms and a terrifying look to their features, highlighting a disproportionate mouth size. Their bodies, aside from being covered by what appeared to be tight green overalls, gave off a very intense aura of heat, similar to the sensation felt by standing next to an oven or campfire. Miguel said that the strong impression made him stumble, falling backward to the ground, while his younger brother started sobbing, paralyzed by fear. With a great effort, after Miguel took his brother by the arm, both fled the scene, feeling the two strange beings in pursuit. However, the episode did not end there. After returning home and telling their mother what had happened, the same sound was heard outside. When Miguel looked through the window, he saw the two figures watching the house intently. The entities inspected the area for considerable time before vanishing into the forest. This unusual account brings to mind a rather similar one recorded on 27 February 2010 (the same date as the devastating earthquake in central and southern Chile) at Cobquecura Beach in the country's 8th Region. As a homeowner identified as Carmen Carmona told the press: "At around 6:45 a.m., when I was opening the gate of my summer home, I decided to look at the ocean. At that same moment, three creatures appeared, heading into the sea. I called my husband and my sister, asking them if they were seeing what I was seeing. They said yes. We found it odd that someone would be on the beach at that time, since the entire town had taken to the hills because the authorities had given evacuation orders due to a possible tsunami. When we saw them, we noticed they were very tall, standing some 2.5 meters, were thin, and had a shiny dark blue color. We were very frightened, but my nephew happened to arrive at that moment and took us to a higher section of the city. What's odd is that a month before this incident, we saw a powerful light amid the mountains which illuminated our cabin almost completely." The members of a family from Cutral Co claim having been able to see an unidentified flying object (UFO) for fleeting seconds at La Rinconada, not far from Junín de los Andes. They took photographs of the event, which frightened them. The Cutral Co al Instante web portal conveyed the statements made by Verónica, one of the protagonists of the incredible story, who noted that [the family] was on its way to Junín and stopped at La Rinconada spend some time on the banks of the Collon Cura River. 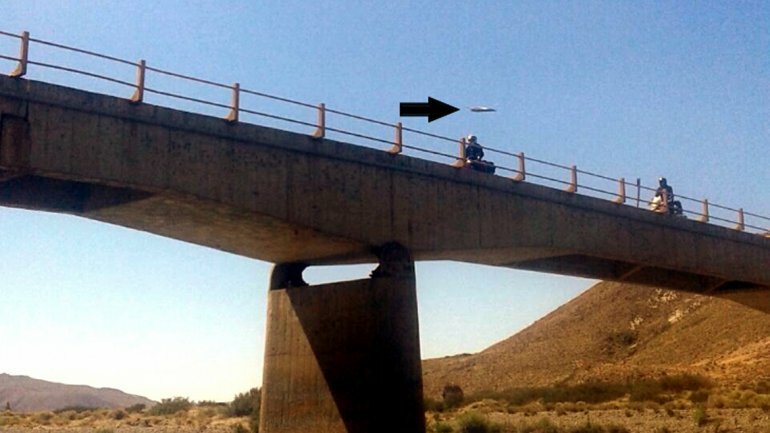 Verónica says that she took a photo of a group of bikers crossing the bridge when she saw the strange object in the sty. "I screamed. Everyone looked and we saw it some 50 meters away, for an instant, just when I took the photo. After that, it was no longer there," she explained. Their initial reaction was to run and get into the car. "We took off immediately. We shut everything because it truly frightened us," said the resident of Cutral Co, who shared the photo that went viral over the weekend through social media. 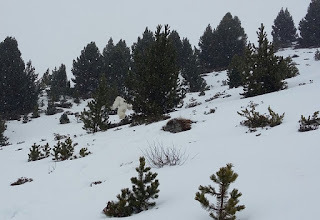 INEXPLICATA contributing editor Manuel Carballal has written on his Facebook page (El Ojo Crítico) that Spain's "Formigal Bigfoot" is simply a viral PR tool from the Madrid-based Marketing Directo company. "It will become common knowledge in a few days," he writes. El Yeti de Formigal, as it was dubbed in Spanish, appeared in footage allegedly recorded in the Pyrenees mountain range, separating Spain from France. The owners of the ski resort where the incident occurred supposedly combed the area for the elusive creature, "to no avail." A similar viral marketing campaign involving a crashed saucer caused commotion worldwide a few years ago.